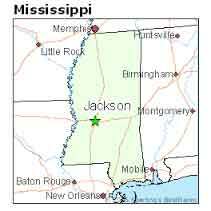 Our newest branch is now open in Pearl, Mississippi. 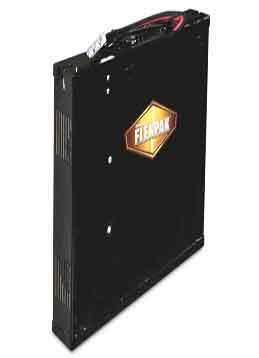 Hawker Thin Plate Pure Lead Flex battery is a maintenance-free battery you can opportunity or fast charge. No watering, no cleaning!! 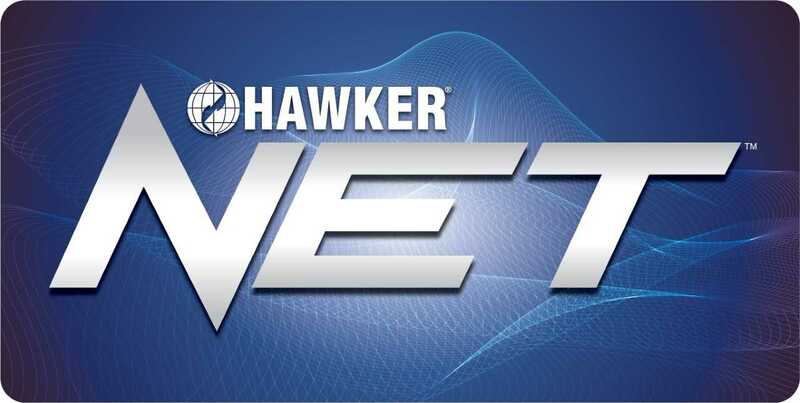 Hawker just released their new web-based remote battery and charger monitoring system, HawkerNet. 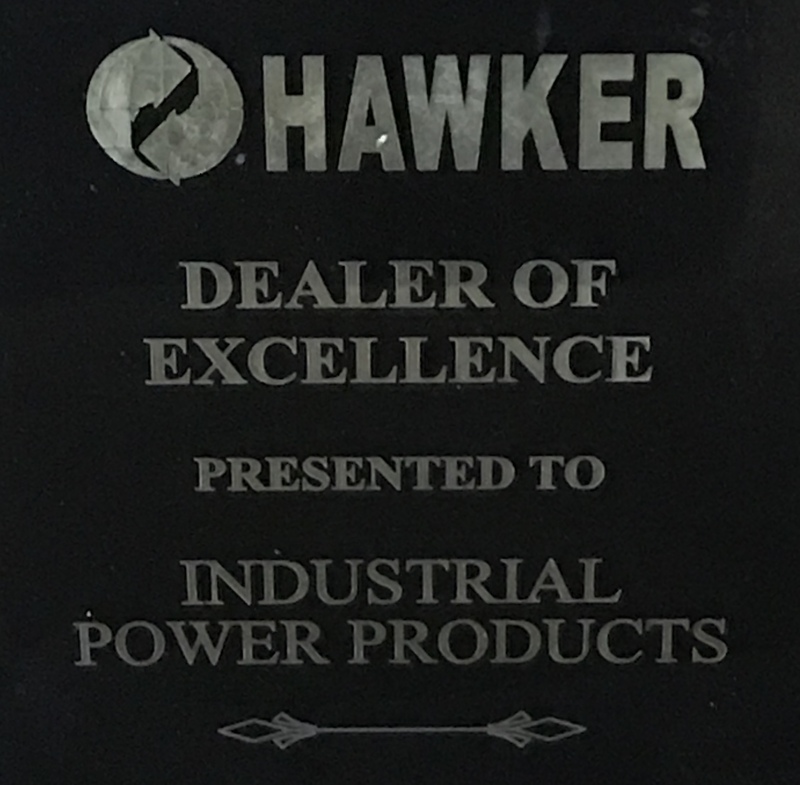 Industrial Power Products was presented the 2018 "Dealer of Excellence" award by Hawker. Philadelphia Scientific has introduced a tool that enables battery rooms to utilize half the number of chargers they typically use, saving significant capital costs. Philadelphia Scientific has introduced its new, improved line of Blinky™ battery watering monitors. The monitors all have brighter LED lights – two to eight times brighter than the previous models - making them more visible to forklift operators and battery room personnel. Let our team provide your company with a comprehensive assessment of your battery and charger fleet to determine costs savings of new products. This website was developed to make our products and services known to those wishing to purchase, operate, and maintain motive power batteries and chargers. You will find a full range of products and services that relate to industrial batteries and chargers for electric lift trucks. Hawker Powersource offers the broadest range of power solutions in the industry. Hawker manufactures both batteries and high frequency chargers and is a single-source provider. Let our experts design your battery room from layout to equipment specifications. Whether changing batteries or opportunity charging, our team can provide a comprehensive plan for your facility. Industrial Power offers both on and off-site repair of batteries, chargers, and battery handling equipment. With five repair facilities in the mid-south and over 20 fully-stocked service vehicles, our company is always ready to support your business. 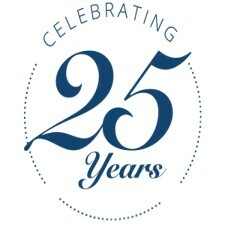 Man-aboard systems, roller stands, battery transfer carts, gantry systems, and battery wash equipment. 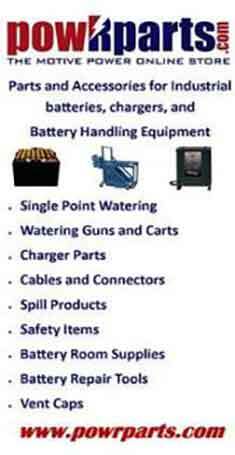 Single point watering, repair parts for batteries and chargers, battery room supplies, safety items, and spill products. Faster battery changes, fewer battery changes, longer battery life, more accurate battery purchase, right-size your fleet. Industrial Power Products has over 300 batteries and 200 chargers in its rental fleet. Contact us for our full fleet maintenance program where we supply the batteries, chargers, and all maintenance services for one monthly price. Industrial Power Products offers web-based monitoring of your battery and charger fleet. Know when your batteries need watering, experience battery run-time issues, and chargers don’t start. DEDICATED PEOPLE. INNOVATIVE PRODUCTS. POWERFUL SOLUTIONS. 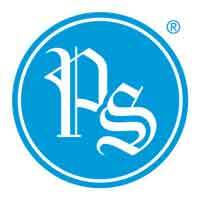 Industrial Power also operates two online businesses. PowRparts.com is an online store for motive power parts and accessories. 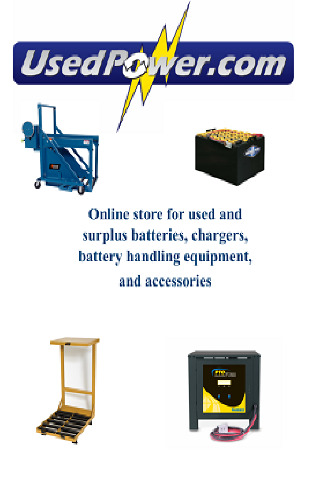 UsedPower.com is a source for used batteries, chargers, and battery handling equipment.